If you wear braces, it’s a safe bet that you will have to wear a retainer when they come off. Since every person’s orthodontic situation is different, every person will need to wear their retainer for a different length of time. But, you will have to follow the dentist’s instructions about wearing it to make sure that your teeth do not move back into their original positions. There are two types of retainers: fixed and removable. A fixed retainer is cemented in place by the dentist and cannot be removed. Since you cannot take it out for meals, you will have to be careful about what you eat. Hard and tough foods can damage your retainer. Since you can’t see your retainer, you might not know if it is broken. But, you if you notice your teeth moving back to their old places, chances are that it is broken and you will have to go to the dentist to have it replaced. Since you take a removable retainer out to eat and clean it, you will probably notice any damage right away. When that happens, have the dentist make you a new one. 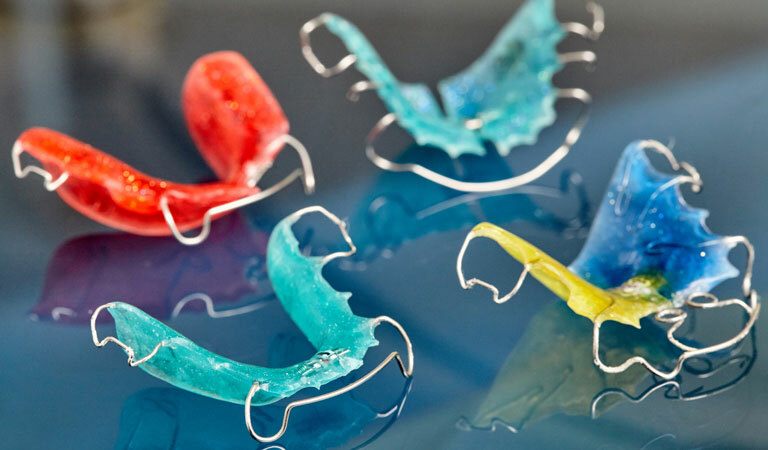 With a broken retainer, you should wear a mouth guard when you sleep to avoid grinding your teeth when you sleep. You should also stick to soft foods to lessen the impact on your teeth. You will need to see the dentist as soon as possible. Orthodontic Specialists of Lake County in Grayslake, Antioch and Gurnee, Illinois today. You can reach our office by calling 847-223-2876.